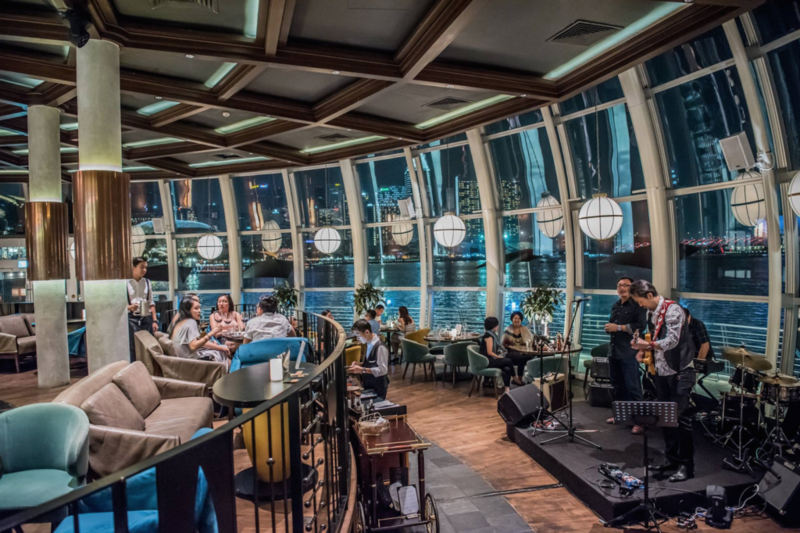 A breezy night under the city lights with jazzy tunes playing, does it not call for a drink and a fancy date night? And…of course…your date just had to say “I’m fine with anywhere, you pick”. Now you’re left alone in a minefield, wrecking your brains over where to bring that special someone for your Christmas or New Year’s Eve date, but fret no more! Monti has a special menu for both Christmas and New Year’s Eve. 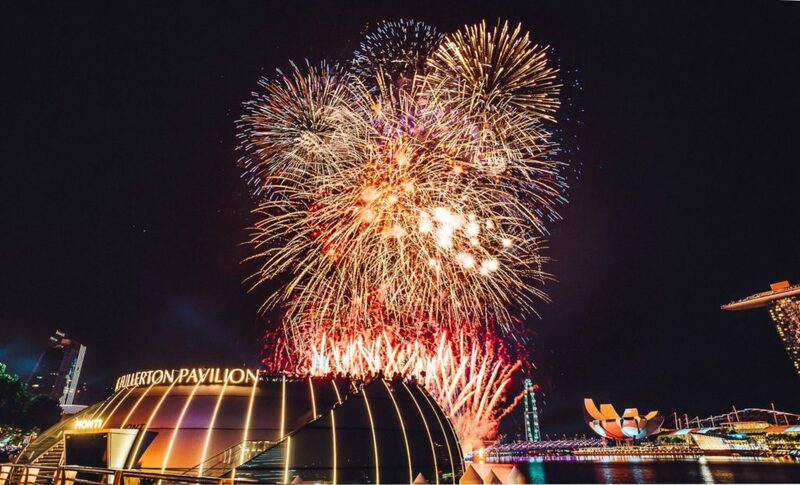 Situated on the iconic Fullerton Pavilion, you’ll enjoy the view of the Singapore skyline and get front row seats to the fireworks display! The view outside might be spectacular, but the interior is entirely something else. They hold the title of the Winner of the Silver A’ Design Award in Interior Space and Exhibition Design category in 2017. They also happen to hold the title Best Restaurants 2018 on Singapore Tatler. The space commits to a masculine colour palette of cool blues and earthy greys, which feels regal among the polished copper bar tops and marble structures that are found throughout. 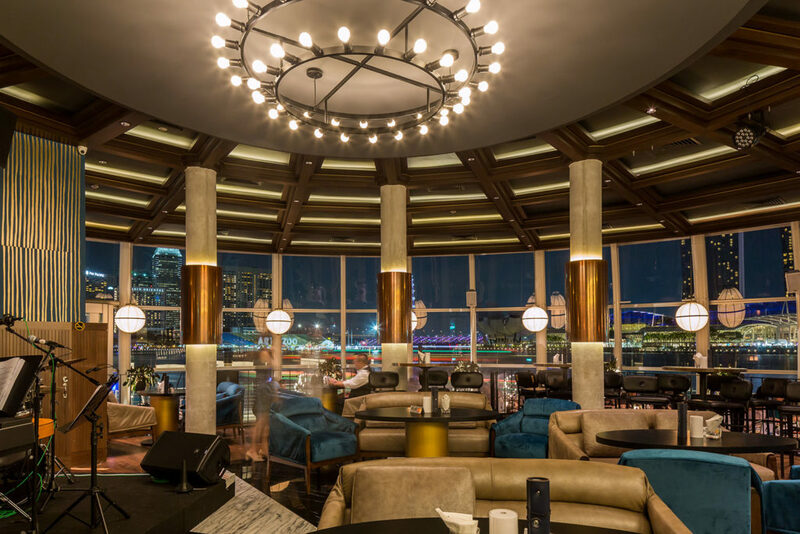 It also houses a good mixture of high bar seats, low dinner tables and lounge chairs upholstered in jewel-toned velvets that lets you cosy into the night time ambiance. Chef Felix has curated a 4-course meal for the Christmas Dinner Menu, which is only available on Tuesday, 25th December 2018. Start your palette off with the Foie Gras Terrine, a dish carefully topped off with truffle, figs marmalade and toasted brioche, followed by Monti’s heavily acclaimed pasta, Risotto with Spumante, Fontina cheese & Porcini. For the highlights, enjoy the Spatchcock wrapped with Parma ham or alternatively, the Maine lobster with Romesco puree & Cranberry foam. For desserts, get to relish one of the chef’s sweet creations – ‘Monti Blanc’ with Coconut snow! Enjoy all of these with a complimentary glass of Prosecco or Mr. Monti, one of the house’s signature cocktails. Monti isn’t only good for date nights but also business lunches and social gatherings. If you and your company fancy buffets and brunches, you’ve found the right place! Revel in a delectable all-you-can-eat Christmas brunch! Choose from the finest-quality meats in Chef’s Selection of Cold Cuts that feature Coppa wagyu, Olive salami and San Daniele ham, to a live carving station filled with festive meats of the Roasted Lamb Rack. Elevate your dish with the braised lentil, yogurt and mint sauce! As we celebrate the end of a wonderful year, we welcome another! Spend this night with your special one at Monti’s rooftop when you get to view the fireworks with champagne and free flow canapés after 10 pm! Enjoy your dinner with a 5 or 6-course meal that comes with a glass of champagne, cocktail or mocktail. You’ll kick off with an appealing starter, the Onion & Thyme Sea Salt Bread Roll with house-made truffle butter showered with Furikake before proceeding to a fancy spread of Jade Tiger Abalone, Smoked Duck Confit, and Sardinian Fregola. For the main course, you can choose between the Sous Vide Mayura Oyster Blade with Cinnamon pumpkin puree and Black truffle jus; or the delectable Pan Seared marinated White cod. End your palette on a sweet note! You’ll be served the Passion Fruit Chocolate, topped off with Yuzu caviar, Coconut macaron, and Gold leaf.